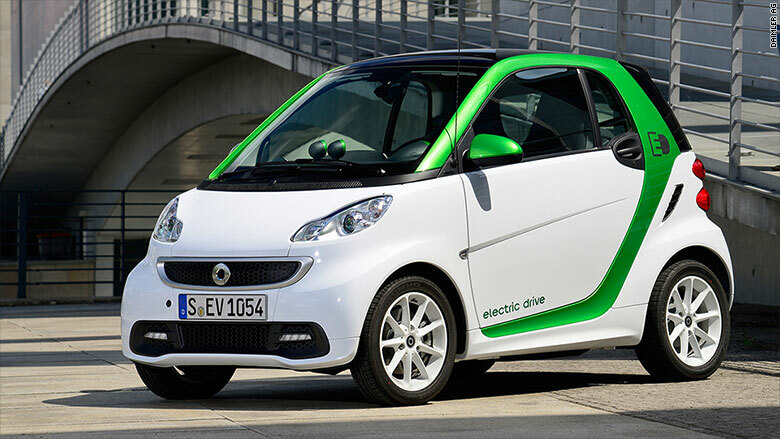 In this "green car" competition, the Smart Electric Drive has two big things going for it. The first big thing is that it's all electric. The second big thing is that, actually, it's really little. That makes it easy on energy. The Smart ED gets an amazing 107 MPGe, or Miles Per Gallon Equivalent. That's a measure of how efficiently a car uses power from any source other than gasoline. By comparison, a Tesla Model S, a much bigger, roomier car, gets 89 MPGe. The American Council for an Energy Efficient Economy recently put out its annual list of the "Greenest Cars" and the Smart ED was named number one. The list is based on fuel efficiency and emissions and, yes, the group does admit that, if you live in an area where your electricity comes from coal-powered plants, driving an electric car like this might not be the best thing you could do for the planet. By the way, you won't find the Tesla Mode S in this gallery. Due to its size, which the ACEEE uses to estimate pollution caused by manufacturing, its "Green Score" was just outside the top 12.